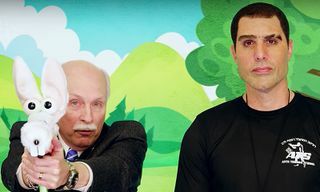 The latest episode of Sacha Baron Cohen‘s prank show, Who Is America?, could very well be the most outrageous yet. For this particular installment, Cohen disguises himself as Gio Monaldo in order to sit down with former NFL player, actor, and convicted robber, O.J. Simpson. As could be expected, talk centers around Simpson’s infamous murder acquittal, as Cohen insists that they are both “lady killers.” He then makes multiple references about murdering people and even name drops O.J.’s then-lawyer, Johnnie Cochran. 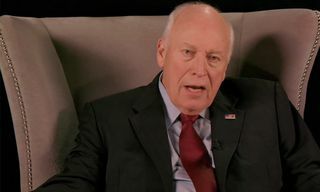 To witness the incredibly awkward conversation, simply press play above, then you can watch other episodes of Who Is America? underneath. In other news, Nike has responded to Serena Williams’ French Open catsuit ban.